Red Angus junior members from across the United States will “Follow the Red Angus Road” to Kansas and Missouri at the Junior Round-Up held June 21-26, 2011. The Junior Red Angus Association of America (JRA) will host its 21st annual Junior Round-Up, an annual event rotated around the country each year. The Round-Up is designed to build public speaking and leadership skills while informing attendees about the Red Angus breed as well as the beef industry. The JRA will conduct its annual business meeting, board meeting, committee meetings and officer elections during Round-Up, as well as host a variety of national contests. Highlights of the week will include tours at Rush Red Angus, Mushrush Red Angus, Lacy’s Red Angus and Kniebel Cattle Co. In addition to touring Red Angus seedstock operations, juniors will visit Kniebel’s feedyard and the Green Springs Bull Test facility as well as tour historic Joplin (Mo.) Stockyards. They will spend a full day at Kansas State University’s beef operations and veterinary school and participate in a workshop on scoring udders and feet and legs. Throughout the week, attendees will have fun participating in cattle judging contests, quiz bowls, barnyard olympics and cut a rug at a barn dance. They will also take in a Kansas City Royals baseball game, make new friends and connect with old acquaintances. Round-Up participants will compete in national JRA contests including Stockman’s Quiz, Equipment Identification, Team Sales, Print Advertising, Scrapbook, Poster, Quiz Bowl, Cattle Evaluation, Prepared Speech and Impromptu Speech – all of which lead up to the coveted “Best All-Around Individual” award. The deadline to register to “Follow the Red Angus Road” Round-Up is May 1. The cost is $300 per JRA member and $400 per adult/chaperone. There is a $25 discount per junior member in an immediate family. The application is available online at redangus.org. 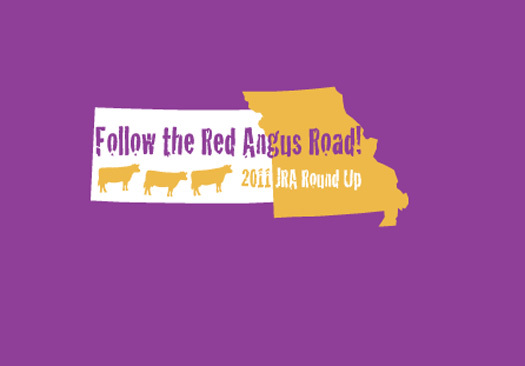 For additional information about the national Junior Red Angus Association of America or Round-Up, contact Dawn Bernhard, junior programs coordinator, Red Angus Association of America, (515) 679-4006, dawn@redangus.org.